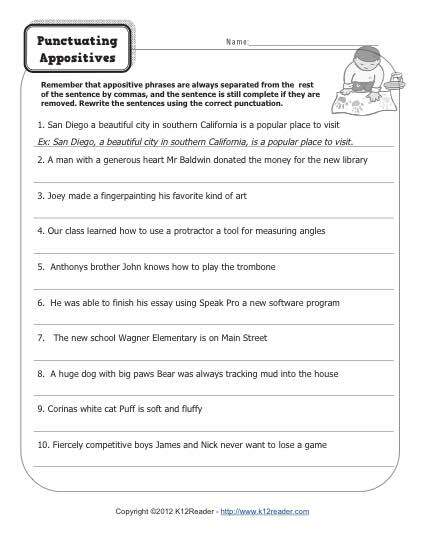 This worksheet focuses on the punctuation of appositives in a sentence. Your student is asked to add the commas in the appropriate places in the sentence. It’s a great combination of punctuation practice and appositive drill!